The new members that make an account at Victor Chandler sportsbook benefit of a 25 GBP bonus at the first deposit and a lot of many other interesting surprises. 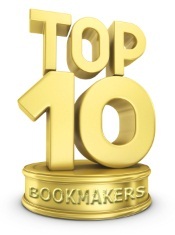 The website is available in many languages, which is a very important aspect for bettors all over the world. It has a lovely design, with well-arranged menus, which allows you to bet easily. Opening an account is very simple, even for the beginners. All you have to do is to complete a form with your personal data. Victor Chandler online sport betting offers its clients many types of bets on different events, from athletics, baseball, basketball, boxing, cricket, american football, cycling, darts, golf, handball, hockey, billiards, ice hockey, motor sports, bowls, rugby, football, horse racing, speedway, tennis, greyhounds, trotting, winter sports. There is also a live platform that allows you to make live bets. The odds are very good at Victor Chandler bookmaker, making it a competitive opponent for the other top sportsbook from all over the world. The minimum sum for a solo bet is of 1 GBP and for the multiple ones is 0.05 GBP. You can find a lot of useful information on sports competitions, results, scores and also a costumer service that you can contact 24/7, through the telephone. The payment methods that Victor Chandler accepts are: Visa, MasterCard, Visa Electron, Maestro, Western Union, Neteller, Delta, Solo. Victor Chandler has constantly actualized its page, adding new sports and types of online betting. It is a top sportsbook, with great experience and it really should be taken into consideration by any bettor, who only wants what is reliable and safe. If you are a beginner or an experienced bettor, Victor Chandler is a great option for you. Sign in, get your first deposit bonus and enjoy a marvelous betting experience with Victor Chandler.